The Best Banjo Youtube Channels from thousands of Banjo Youtube Channels in our index using search and social metrics. We’ve carefully selected these youtubers because they are actively working to educate, inspire, and empower their audience with frequent updates and high-quality videos. About Youtuber Ollie is an banjo player who shares his most beautiful banjo covers on this channel and he also offers some tips on how to play a banjo. About Youtuber A video resource for all your clawhammer banjo needs. Here to educate, inspire, and equip you with the tools you need to spread 5 string cheer throughout the world. At the Clawhammer Banjo channel, we believe that the banjo holds the key to a peaceful and prosperous future. About Youtuber A channel dedicated to all things banjo music. About Youtuber This channel is mainly about beginner bluegrass banjo. Some beginner bluegrass bass here as well. And other bits and pieces. About Youtuber Salman Nadeem is an banjo artist and he shares all his banjo music videos on this channel. About Youtuber Follow this channel for some of the vest banjo music covers. About Youtuber Jim Pankey shares videos on Old Time and Bluegrass Banjo! About Youtuber Mike Hedding is an banjo player. Follow this channel for Banjo Video Lessons! About Youtuber Joff Lowson is an Banjo teacher and video maker. About Youtuber Deering Banjo Company was founded in 1975 and has grown to become the largest manufacturer of American made banjos in the world. Located in Spring Valley, CA, Deering produces all of its quality 4-string, 5-string, 6-string, and 12-string banjos in the same US facility and boasts the most knowledgeable team in the industry. About Youtuber Follow Bennett Sullivan as he shares his banjo lessons and covers on this channel. About Youtuber Are you a beginner or intermediate clawhammerist looking to learn new skills and new tunes? Want to be a better player? Play Better Banjo is your destination for clawhammer information and inspiration. The Play Better Banjo youtube channel is a presentation of PlayBetterBanjo.com and features full, free video lessons, lesson excerpts, links to tablature, and other clawhammer banjo samplings. About Youtuber Banjo Lemonade is your spot for learning to play banjo. Learn clawhammer banjo, picking patterns, chords, and even how to tune your banjo. I have videos from your first day on the banjo up to intermediate level play with other instruments. About Youtuber Hi I'm Tom Collins, I play and teach clawhammer banjo in the Boston area. About Youtuber Tom encourages students of Scruggs-style 5-string banjo playing to think about their technique, tone and timing as they learn to play the instrument. Find Bluegrass Banjo Lessons from Tom Adams. About Youtuber Handmade custom open back banjos built by Lukas Pool & Eden Forman. We will be demoing our banjo creations, sharing public and private clawhammer banjo lessons for our followers. About Youtuber Play banjo by larbi .. a music banjo channel. About Youtuber I'm Taylor Pfeiffer, an 18-year old singer/songwriter, banjoist and (suspenseful music) yodeller from Adelaide, Australia. About Youtuber This is the place where I post videos of music not normally played on the banjo. About Youtuber Custom banjo production. Handmade in Ann Arbor Michigan. About Youtuber This channel profiles my mostly daily banjo practice--I'm filming daily practice in my mobile banjo studio (usually) in order to become more comfortable with the camera and, by extension, with public performance, and to detail whatever progress I'm making. About Youtuber Solo banjo project playing country, old time, political, folk and pop music. CONGRATULATIONS to every youtuber that has made this Top Banjo Youtube Channels list! 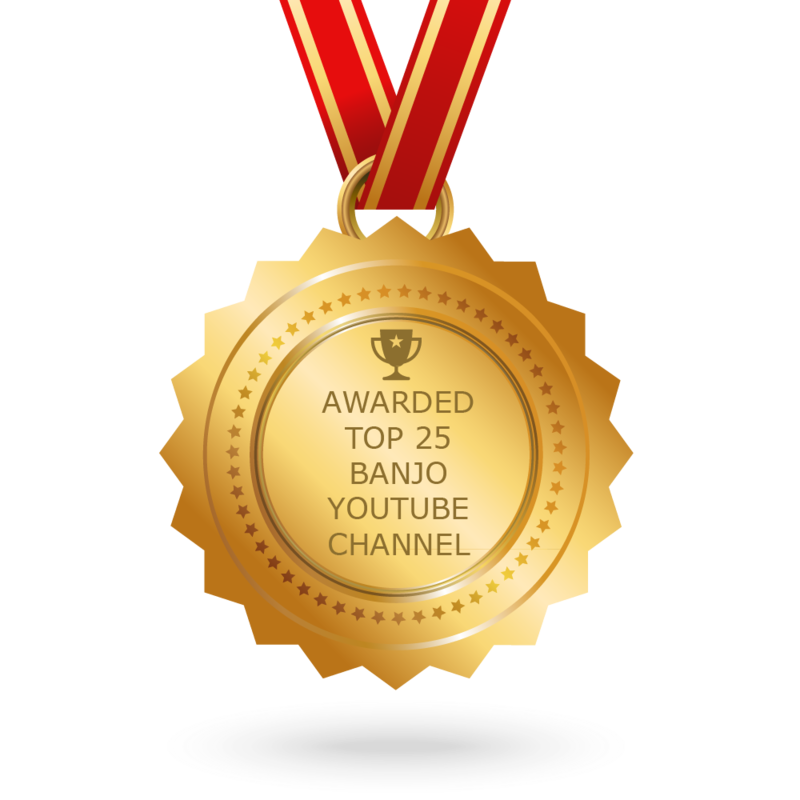 This is the most comprehensive list of best Banjo Youtube Channels on the internet and I’m honoured to have you as part of this! I personally give you a high-five and want to thank you for your contribution to this world.